Read update at end of post, and then continue! There’s been tonnes of noise (ironically) about the South African wind instruments known as the Vuvuzelas. So much so, that it’s prompted sites like AntiVuvuzelaFilter to spring up overnight with solutions to the problem. What these guys do is charge to charge you 2.99 Euros for a ~50 minute soundclip, which, when played alongside your TV, apparently cancels out the sound of the Vuvuzelas. It didn’t really take much time for me to get interested in the problem, especially considering that Sound has always been one of my fields of interest (I regard Amar Bose as one of my top icons, somewhere between Chuck Norris and Gandalf). And the first solution that popped to my mind, which is exactly the same as that used by the AntiVuvuzelaFilter guys, was Noise Cancellation. Well, I’m sure most, if not all of us have heard of Noise-cancellation headphones… I once had the opportunity to use a Bose QC3 on a bus, and boy, it does its job really well! How does noise cancellation work? Let’s break it down shall we? Sound, that you hear from your TV, if looked at closely enough, looks like a piece of string that’s been tied to an end and is being pulled up and down by a hand at the other side. 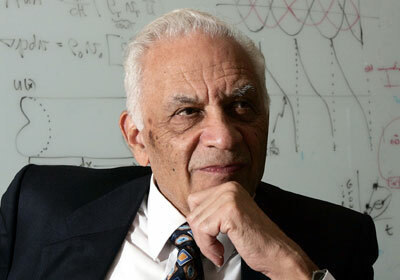 The absence of sound simply implies the string is stationary. 2. Tell the hand to both move up and down at the same time i.e when the TV signal tells the hand to move up, we tell it to move down and vice versa. Now this seems simple, but the problem is that if we tell the hand to move up by say 10 points, while the TV also tells it to move up by 10 points ("points" here are a randomly assumed scale of measurement), we just get a 20 point signal. In simpler words, 10up+10up=10+10=20up. Also, if we tell the signal to move up by 5 points, while the TV signal tells it to move down by 10 points, the wave does indeed move down, albeit with a -5 point level i.e. 5up+10down= 5-10= -5down. Now products like the Bose QC3, use intricate circuitry to analyze the noise (determine whether the signal is telling the hand to move up or down) and then generate a invert of this i.e tell the hand to do the exact opposite! The thing about Vuvuzelas is that noise is more or less stable (kinda like a looooooong drone), so we don’t really need realtime analysis. So here’s how you go about it! 1: Get hold of a sample of the Vuvuzela noise in the stadium. Tonnes of sites offer these. I actually ripped the sound off this SWF clip using SWFRIP (a nifty open source software). 2: Generate the invert of the signal i.e when the signal is telling hand to pull up, your signal tells it to move down. I used Audacity, an awesome open source audio editing software. 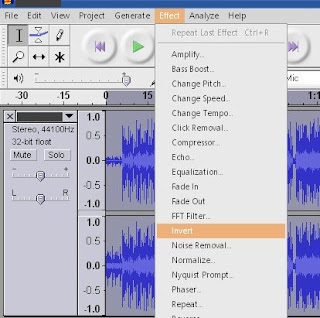 Simply open the sample, copy paste it till its around 45 minutes in length, and then invert it (On the top menu Effects-> Invert in Audacity). NOTE: It may take a few adjustments here and there, such as decreasing/increasing the bass (since some TVs provide an artificial bass effect). And sometimes, your track may be playing in sync with the noise (i.e 1st pic shown above), thereby creating a louder noise. In this case, simply pausing and playing may help. It may take a few tries to get it right. But overall that’s about it! 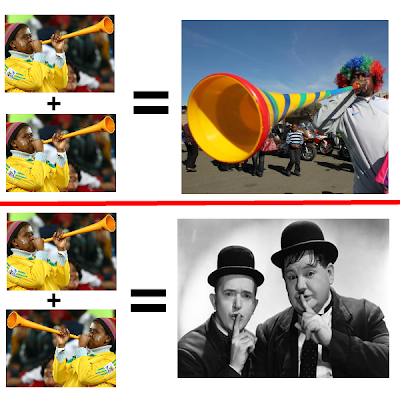 Also, your volume level must be more or less equal to the soundlevel of the Vuvuzela noise. Using this method and a bit of optimisation, the noise of the Vuvuzelas can be eliminated for 90-95% the time of the match, which in my opinion is a big thing, especially considering that your entire investment has been less than 15 minutes! For a more customised solution, you could try asking these guys or if you have the time, do what this German engineer did, and actually create a realtime filter. 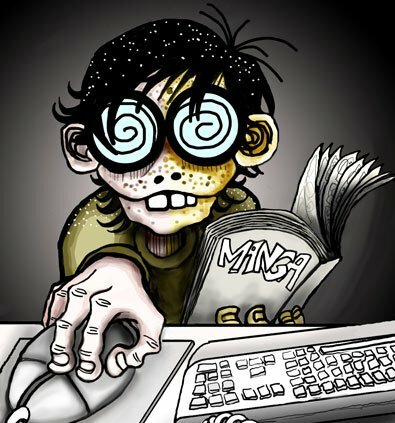 Tonnes of sites, including LifeHacker and CrunchGear have simply translated this guys method on tutorials given on their sites! Some dude even did the same thing on a Fedora machine! And trust me, that method is the ultimate fix. But this is, as us Indians call it, a Jugaad fix. PS: There’s tones of cool stuff you can do with Audacity using the same invert method, like taking out the vocals of a song. As with most audio editing tools, there's generally no stepwise method to do stuff, and quite a bit of tweaking will have to be done. So go ahead play around with Audacity! 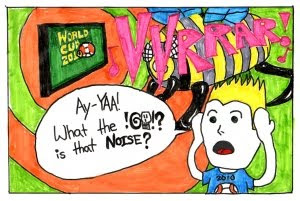 Update: As the Worldcup gets closer to the big finale, the Vuvuzela sound has gone more from being stable background noise to unpredictable bursts of Prrrrrrrrr. :) As such, the method outlined above WILL NOT WORK! It works only for a stable Vuvuzela background noise. In the current scenario, only real-time filters, as mentioned in the latter part of the post, will work! This quote by a friend in the arts field, may have been said jokingly back in November 2009, but was something that really got me thinking. And a simple introspection revealed that the friend was indeed right. I've never really had a strict friends circle, and am generally a member of different groups, sometimes even of rival factions (which BTW can be amazingly fun!)! But in my life, the term “socialize”, despite being a second year college student, was limited to just college friends, a bunch of North Indian friends, and a few colleagues, besides the tonnes of "friends" on soc-net sites. But the last category didn’t really count, cause other than the yearly B’day wishes, I didn’t really know these people! And even the b’days were remembered only because these “networking” sites had a b’day reminder feature! Yeah, maybe that guy had been in that competition with me.. or maybe that gal was my classmate back in the third grade, or in tuition class. I mean I really was feeling like one big dumbass, having so many "friends" and yet not feeling like it! Heck, I didn’t even know the names of a quarter of the people in my own class, despite having spent 4 whole months with them! And when your mom herself starts calling you anti-social, you know that’s something is definitely not right. 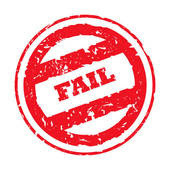 Now this simply wouldn’t do…and as twitter-junkies would put it, this was a big #fail in the Life of Navin. So I’d more or less vowed to change my ways over the next semester.. And boy, I did! I call Semester 4 the people semester, because people formed the most crucial component of these 4 months. Events like NullCon, brought me so much closer to people who thought like I did, worked in my style, f***ed around just like me. Heck, I had a discussion on The Hacker Manifesto with a bunch of guys, something I simply can’t imagine happening in my own college! Meeting people like Raoul Chiesa and Cassio Goldschmidt, and learning stuff from them was simply brilliant! Another biggie was TwestivalGoa, which introduced me to tonnes of new people, right from the BITSians Varsha, Neha, Snehal, and later Asmita and Shwetamsu, to kickass dudes like Jude Mascarenhas and Nikhil Velpanur! The conceptual stage too was awesome, with meetups with people like digital media warrior Frederick Noronha, awesome photographer Anoop Negi and Mr. Heritage Jazz Armando Gonzalves! Heck, till date, the extreme awesomeness that TwestivalGoa was, hasn’t left me, and I hope it never does! By now I’d more or less reached the peak of socializing. But was that the end? Not by a loooooong shot! Because lined up right after Twestival was PhotoFlare, which introduced me to the who’s who of Goan photography, right from Prasad Pankar to Akhil Khandeparkar, the funny shutterhappy duo of Akshaya Shivkumar and Sharafat Khan, besides loads of other awesome people from college itself, whom I’d not had the opportunity of interacting with before! And the cherry on the cake couldn’t be an event better than The SEQC SoQ, a quizzing jamboree for kids, during which I not only got a chance to pick the brains of the smartest kids in town, but also got a new lease on life, looking at life through their perspective. And ofcourse, as organizers, we got to get to know people like Arjun Halarnkar, of ICG, who’s one of the nicest and most helpful guys you’ll ever meet! Another great aspect was meeting up with friends like old friends Adish Talwadkar, Anant Lawande and Amit Shet, and having loads of crazy times over a cuppa coffee! I could start off with a few special mentions, but I have a gut feeling that the few will stretch this post from “Does this guy have nothing better to do” long to “WTF? The Mahabharata was shorter” long so I think I’d better leave the special mentions out! I really do feel sorry for the guys who live in the bubble of Soc-Netting, and think what they’re doing is even minutely “networking”. While you were wishing your “friends” Happy B’day, I was out actually meeting, greeting and getting to know them! During the 4 months that’ll go down in the “Chronicles of Navnya” as Semester Quatro, I met and worked with more people than I had (arguably) in my whole life, and I’m really grateful to the awesome people who helped me though the journey that I’ve so thoroughly enjoyed! 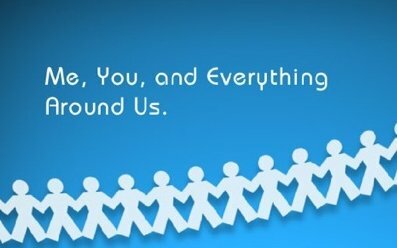 And hence, as the guys as Cisco would put it, this semester is dedicated to The Human Network, and YOU are a part of it! Yes, you, the poder who spent half an hour on a cold morning telling me about your life, and you, the crazy guy who did a double backflip just to show me you could, and you, the chick on the bus to Pune, who had the awesomest stories to share on the loooooong trip! Thanks to all you guys and gals for truly making my Semester four, the people semester! Oh, and incase you're wondering: tlhIngan 'oH mIghtaHghach = Klingon Is Evil! 61 SMSes, 45 Emails (12 of them Auto-generated! ), 7 E-cards, 4 non-E-cards, 24 calls (including 2 very special ones! ), Tonnes of scraps, tweets and gifts are testament to the fact that I'm now 19! The "Network" sometimes scares me! Incase you haven't heard already, I quit FB !